Shell Point Retirement Community’s 2013-2014 Concerts & Conversations Series concludes with pianist Young-Ah Tak on Monday, April 7 at 7 p.m. in The Grand Cypress Room of The Woodlands at Shell Point. Praised for her “winning combination of passion, imagination, and integrity” by New York Concert Review and her “thrilling blend of fury and finesse” by San Antonio Express-News, Tak has been awarded top prizes in numerous competitions throughout the United States and internationally. The Shell Point Concerts & Conversations Series offers classical music lovers an opportunity to experience concerts in an intimate setting and enjoy a dessert reception with the musicians following the performance. Tickets are available for $25 each. Concerts begin at 7 p.m. in The Grand Cypress Room of The Woodlands at Shell Point. Visit www.shellpoint.org/concerts or call the box office at (239) 454-2067. Shell Point Retirement Community is a not-for-profit continuing care retirement community located in Fort Myers just off Summerlin Road and McGregor Boulevard, two miles before the Sanibel causeway. Shell Point is a nationally-recognized leader in the retirement industry. 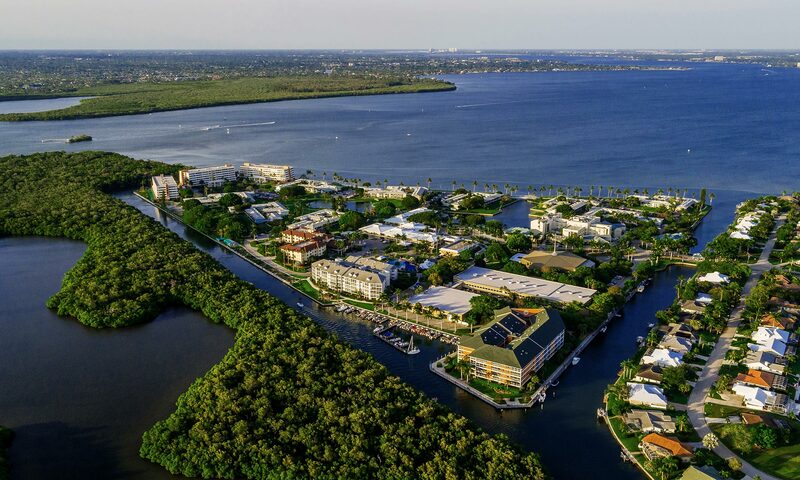 The community offers retirement living in a resort-style environment with an 18-hole championship golf course that is open to the public, deep water boating access with free boat dockage, and recreational and fitness facilities. To learn more about Shell Point, visit us at www.shellpoint.org or call 1-800-780-1131. On Monday, April 7, from 9 a.m. to 5 p.m., shoppers are invited to Spring into Savings at the Community Thrift Store. Guests will receive special discounts off already well-priced items during the store’s Easter celebration. Bring an Easter bonnet for a contest that will be sure to evoke fond memories and traditions in the minds of many. Prizes will be awarded for customers wearing the best Easter bonnets in the following categories: Tea Party, Most Outrageous, and Pure 5th Avenue. The Community Thrift store is located in Miner’s Plaza, next to Planet Fitness, on the corner or McGregor Boulevard and Gladiolus in the Iona area of South Fort Myers. The store features home décor, clothing, artwork, knickknacks, and furniture, as well as building supplies, construction materials, appliances, and fixtures. Tax deductible receipts are available for individuals or organizations that donate items to the store. Regular store hours are Tuesday through Saturday from 9 a.m. to 4 p.m. Shell Point Retirement Community, a not-for-profit organization dedicated to serving seniors in Southwest Florida, opened the Community Thrift Store in 2011. Located in Fort Myers just off Summerlin Road and McGregor Boulevard, two miles before the Sanibel causeway, Shell Point is a nationally recognized leader in the retirement industry. The community offers retirement living in a resort-style environment with a newly renovated 18-hole championship golf course that is open to the public, deep water boating access with free boat dockage, and recreational and fitness facilities. To learn more about Shell Point, visit www.shellpoint.org or call 1-800-780-1131. The meetings will be held at 2 p.m. in the main Commons located in The Woodlands neighborhood at Shell Point on April 8, 16, 22, and 30. Meetings will also be held at 10 a.m. on April 9, 23, and 29. The Academy of Lifelong Learning welcomes Author Charles Sobczak for “Florida’s Wildlife” on Tuesday, June 17 from 2 to 3:30 p.m. in the Grand Cypress Room at The Woodlands at Shell Point Retirement Community. Author Charles Sobczak will draw on the extensive research he conducted for his last four nature-oriented books for this intriguing presentation about the wildlife of Florida. The course will begin with a look at the Paleo-Indian arrival in a much wilder and warmer environment more than 12,000 years ago. He will then cover the arrival of Ponce de Leon in 1513 and the early agricultural development of Sanibel. After a look at the recent rebound of wildlife in urban areas, Sobczak will review the impact of climate change and the future of Florida. Tickets for each session are $10. Space is limited and registration is required by calling (239) 489-8472. If you are unable to attend a class that includes a fee, kindly give 24 hours notice to receive a refund. Shell Point invites guests to “Wild About Style,” the community’s annual Fashion Show and Luncheon hosted by Shell Point Retirement Community on Friday, March 28, at noon. Guests will be treated to a delightful lunch while previewing the latest spring and summer fashions from Bell Tower Shops including Saks Fifth Avenue, Brodeur Carvell, Talbots, Chicos, Cache, Draper’s and Damon’s, Patchington’s, Francesca’s, Trader Rick’s, and Eyetopian Optical. Each guest will receive a special gift bag as well as the opportunity to win exciting door prizes. Proceeds from the event will benefit Shell Point’s Memory Care Center. Located in the Larsen Pavilion, the Center serves Shell Point residents and members of the surrounding community who have memory loss and dementia from Alzheimer’s and other brain diseases. The fashion show will be held in the Shell Point Auditorium located on The Island at Shell Point. Tickets are $35 and must be purchased in advance by calling (239) 454-2249. Shell Point Retirement Community is a not-for-profit continuing care retirement community located in Fort Myers just off Summerlin Road and McGregor Boulevard, two miles before the Sanibel causeway. A nationally recognized leader in the retirement industry, the community offers retirement living in a resort-style environment with a newly renovated 18-hole championship golf course that is open to the public, deep water boating access with free boat dockage, and recreational and fitness facilities. To learn more about Shell Point, visit www.shellpoint.org or call 1-800-780-1131. Shell Point Retirement Community’s 2013-2014 Fine & Performing Arts Concert Series concludes with “Take Me Home: A Tribute to the Music of John Denver” with Jim Curry on Monday, March 17 at 7:30 p.m. in The Village Church Auditorium. Join acclaimed performer Jim Curry and his band for this tribute to John Denver – a beloved singer/songwriter whose music has stood the test of time. Curry’s uncanny ability to mirror Denver’s voice and clean-cut look takes you back to the time when Rocky Mountain High, Sunshine, Calypso, and Annie’s Song topped the charts. Tickets for the concert are $35 each. To purchase tickets, or to learn more about The Shell Point Fine & Performing Arts Concert Series, please visit www.shellpoint.org/concerts or call (239) 454-2067. Shell Point Retirement Community is a not-for-profit continuing care retirement community located in Fort Myers just off Summerlin Road and McGregor Boulevard, two miles before the Sanibel causeway. A nationally recognized leader in the retirement industry, Shell Point offers retirement living in a resort-style environment with a newly renovated 18-hole par-71 championship golf course that is open to the public, deep water boating access with free boat dockage, and recreational and fitness facilities. To learn more about Shell Point, visit us at www.shellpoint.org or call 1-800-780-1131. The Village Church and The Academy of Lifelong Learning at Shell Point are presenting “Dare To Believe: A Biblically-Focused Weekend for Women” on Friday, April 4 and Saturday, April 5. This women’s conference will provide an entertaining, yet thought-provoking weekend of fellowship and study of key female figures who dared to believe and demonstrated unwavering faith in God. On Friday, April 4 at 7 p.m., men are also welcome to see veteran actresses Nan Gurley and Bonnie Keen present a faith-based musical drama, “Women Who to Dare to Believe,” which brings to life 21 women from the Scriptures whom God used to fulfill the covenant and bring in the Messiah in this thought provoking musical. Tickets are $15. On Saturday, April 5, women only are invited to a day of bible study with Gurley and Keen from 9 a.m. to 3 p.m. Sessions include “They are Enough: An Overview Study of Rachel and Leah”; “When God Says ‘No’: A Study of Anna”; and “No Matter the Cost: A Study of Jochedbed, Mother of Moses and Mary, Mother of Jesus.” Saturday’s sessions and a catered lunch are $35. Cost for the full conference of Friday and Saturday events is $45. Shell Point Retirement Community celebrated a ribbon cutting for the LifeQuest Aquatic Center with key executives, project supporters, and residents. After the ribbon cutting, Shell Point residents enjoyed tours of the new $2 million Aquatic Center, which features a 99,000-gallon main recreation pool with two lap lanes, a zero-entry access, and shallow and deep water areas. The Aquatic Center also has a 23,000-gallon therapy pool with an easy-access ramp and an adaptable water chair for those needing assistance entering the pool. There is also a seven-person hot tub, an old-Florida style pool house, a Chickee Hut shade structure, shade sails over the pool, and lounge areas. The 8-month project was completed by Wright Construction Group, Jackson Pools, Johnson Engineering, RDg Planning & Design, and Winter Interiors. The LifeQuest Aquatic Center replaces the original Island pool, which was constructed in 1968. Shell Point Wellness Staff members were on hand to talk with residents about the fitness class schedule, including popular water exercise classes and new specialty aquatic classes.